That it looks like it is part truck and part car but the car part only holds 4 people and the truck part doesn't really haul that much. I like it because so many people comment that they like it. I kind of don't like how it is such a small truck. I also am not sure I like how it only seats 4 people. It has been a good vehicle for us. The color is baby blue.It's a rare color for a vehicle. 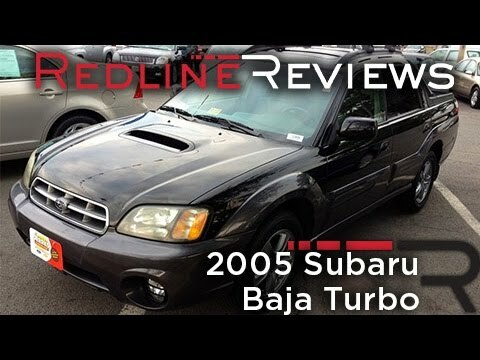 Why did Subaru stop making the Baja? Subaru will notify their owners. General Motors will notify Saab owners. Dealers will replace the passenger frontal air bag inflator, free of charge. A notification schedule has not yet been provided. Owners may contact Subaru customer service at 1-856-488-8500. Subaru's number for this recall is TKB-16. Note: This notice is only for vehicles that were not covered by 16V-358 for Zone A.
Subaru will notify their owners. General Motors will notify Saab owners. Dealers will replace the front passenger air bag inflator, free of charge. The manufacturer has not yet provided a notification schedule. Subaru owners may contact Subaru customer service at 1-800-782-2783. Saab owners may contact the Saab Customer Assistance Center at 1-800-955-9007. Subaru's number for this recall is TKC-17.